Living with bears requires some education and responsibility. This wasn’t much of an issue in your grandfather’s day. But abundance has consequences. That’s the case with black bears, anyway. They roamed virtually the entire North American continent when the first Europeans arrived. Then their trouble started. “Early settlers considered the bear a dangerous and fatal element that only added fear and misery to their existence,” said the Maryland Department of Natural Resources. So they worked to eliminate them. And by the early 1900s, after a couple centuries of that kind of persecution, they largely had. Bear populations hit rock bottom. But they’ve since rebounded in a big way. There are, according to some estimates, perhaps 850,000 to 950,000 black bears roaming North America currently. Some 300,000 or so exist in the Lower 48 states, primarily along the East Coast, in the Rockies and along the Pacific northwest. That growth shows no signs of slowing down either. “With controls on human-caused mortality, populations can increase rapidly, and spread through immigration,” according to the International Union of Conservation of Nature. No one was predicting any of that back in the day. They are mostly good neighbors. “Black bears are generally fearful of humans and will leave if they are aware of your presence,” said the Michigan Department of Natural Resources. Indeed, bears injuring people is “very rare,” Ternent said. Pennsylvania alone has 20,000 bears he said, to go along with 12 million human residents. “So there are a lot of bear-human interactions every day. And we just don’t have these types of events on a regular basis,” he said. 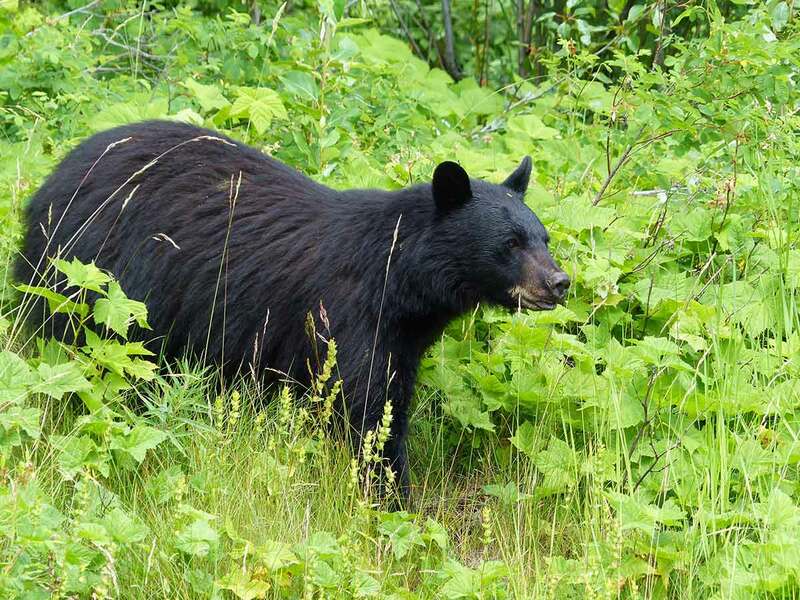 In April in Michigan, a woman walking her dog was attacked by a mother bear with cubs nearby. She suffered puncture wounds to her back and other non-life threatening injuries. In August, a New Hampshire woman was attacked when she surprised a bear that wandered into her kitchen. She lost an eye and suffered other injuries as a result of the incident. In September, authorities killed a mother black bear after it attacked a 75-year-old woman out with her dog. The woman spotted three bear cubs near her car and shouted to scare them away, but that instead prompted the mother bear to knock her down and scratch her. And most recently, on Dec. 12, a Pennsylvania woman was hospitalized after a black bear sow attacked her, reportedly near where it may or may not have been feeding on deer carcasses tossed into the woods by successful hunters. Game wardens tried to catch the bear with traps initially, with the intention of euthanizing it. They later tracked it with dogs, and had it seemingly pinned down on a steep, thickly wooded hillside, Mitchell said. But the bear injured one of the dogs and, without ever revealing itself to wardens, escaped by swimming across the river. Wardens are no longer trying to catch it, as there’s no way to be sure any bear caught in a trap now would be the one involved in the incident, Mitchell said. He said, though, that there’s no reason to consider the bear dangerous. “It’s not a predator or rogue bear or whatever you want to call it,” he said. Ternent agreed. He said bears “certainly have the potential” to seriously hurt people. Capable of reaching 800 pounds or more, they’ve killed fewer than 70 people since 1900. In most cases, it’s predatory males that cause fatalities. But such incidents are exceedingly rare. 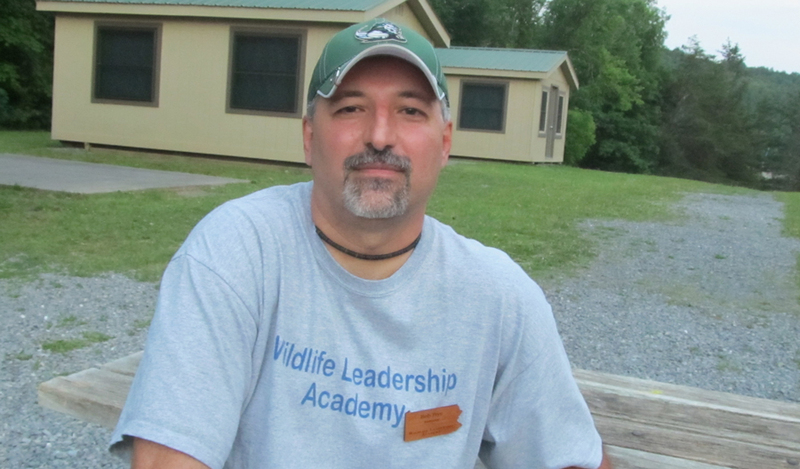 Across Pennsylvania, people get into scrapes with bears a couple of times each year, Ternent said. They surprise a bear at close quarters, perhaps. The bear runs them over, stands on them or bites them as it makes its escape, he said. But the bears aren’t going anywhere. So it falls to people to adapt. “People share in the responsibility to avoid conflicts with bears. Learning effective measures to prevent bear problems will help both bears and people,” said Maryland officials. If there’s one other thing they and all wildlife managers around the country agree on, though, it’s that bears are best left wild and viewed from a distance. With that in mind, here’s some advice on living with bears. Black bears react to food, and even the smell of food. So, at home, remove bird feeders if they’re attracting bears, secure all garbage, clean barbecue grills and avoid feeding pets outside. Make sure all the neighbors in the area do the same. If backpacking or camping, keep your campsite clean. Hang your food from a tree or store it in a bear-proof container. Never take food into your tent and don’t sleep in the same clothes you cooked in. When hiking, especially in thick cover at dawn and dusk, talk or make noise so as not to bump into bears unawares. If you do encounter a bear that refuses to back away or is exhibiting threatening behavior – like bluff charging, snapping its jaws or making aggressive noises — first try to scare it off by yelling while leaving a clear, unobstructed escape route for the bear. If the bear stands its ground, take slow steps backward while continuing to talk to the bear in a stern tone. In the rare event of an attack, fight back with a backpack, stick or your bare hands. Black bears have retreated in similar situations. Do not run or play dead. Most importantly, remember that anything that habituates bears – making them lose their fear of people – is bad for everyone. At times, wildlife managers will trap nuisance nears and move them away from where they’re causing trouble. That doesn’t always work, though. In such cases, wildlife officials usually kill those bears. So for their sake and everyone else’s, it’s best to enjoy them, but in their wild state, and from a distance.